Head office : Worli, Mumbai. How to use this page: This page doesn’t cover all Nirali products & categories. It contains few specific products that ContractorBhai recommends to its own Customers. Purpose of this page is to give You a high-level overview of Nirali products for Your Economic Home Renovation. 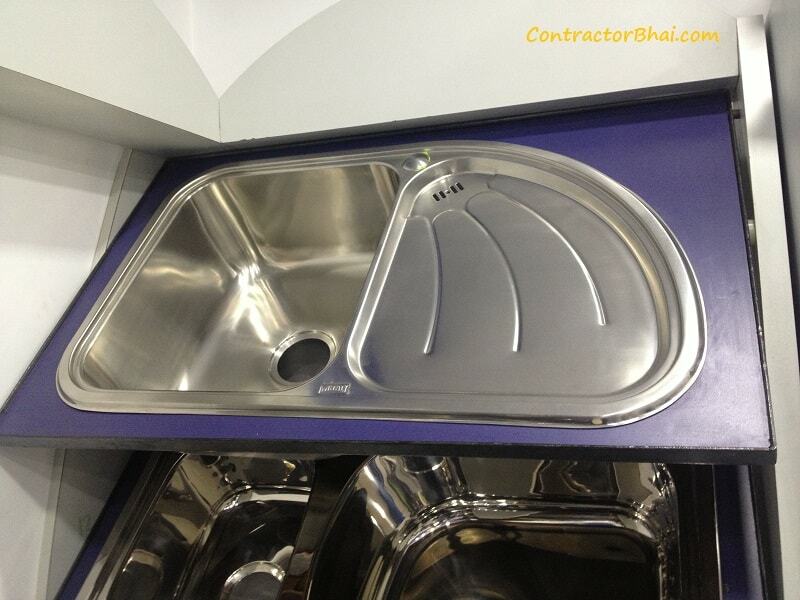 ContractorBhai Recommends Stainless Steel Nirali Kitchen Sinks for Home Owners. Designer looks. Costlier then Popular Range. 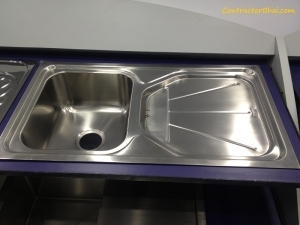 Nirali Popular Sink range consists of Sinks that are widely sold across country. Value of Money. Wide range of combination & size. Most available in Sating, glossy & Antiscratch look & feel. We highly recommend this series if you are doing Economic Renovation. 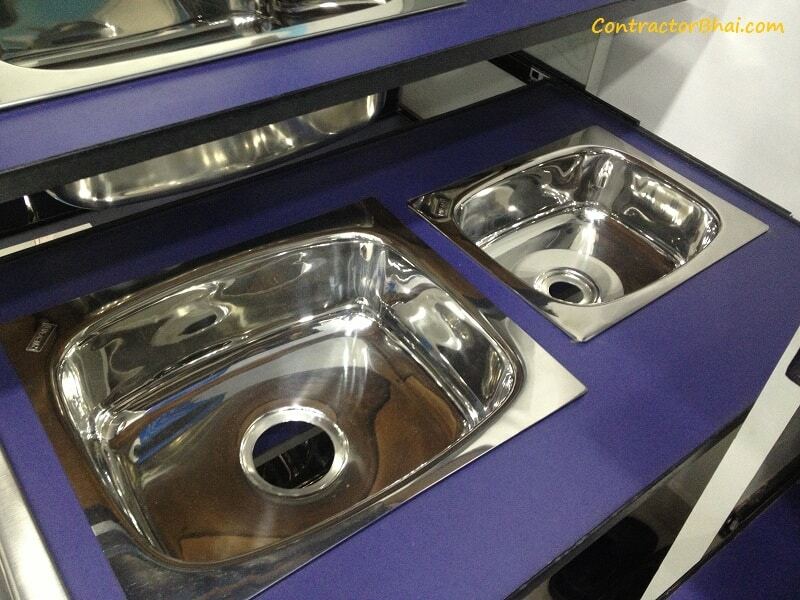 Nirali Silent Square Sink range consists of sink Models which come with coating at the bottom surface. This reduces unwanted sounds. In certain cases Home Onwers want to retain warm water inside sink for cleaning, these square help retain temperature heat. Vibration from dishes is reduced. Nirali DSigno Range consists of sinks with cool designs. usually dashbaords are curved & gives designer looks. Costlier then popular series. 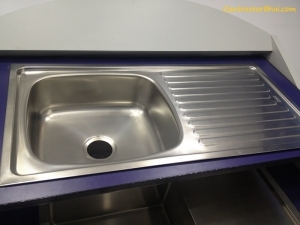 If your budget allows you to get best then DSigno sinks are for you. What Interior Designers think about the Nirali Kitchen Sinks ? 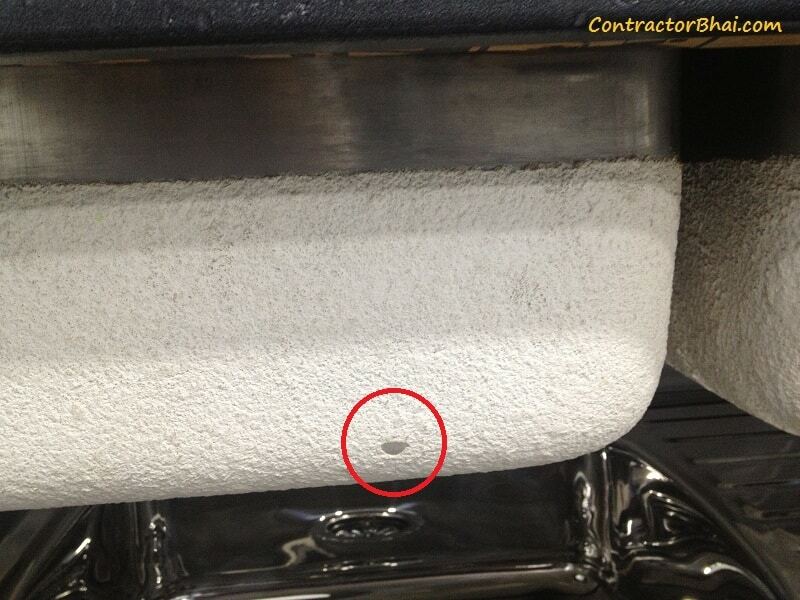 1mm thick sheet is enough for sink. Popular series is made up of 1mm. 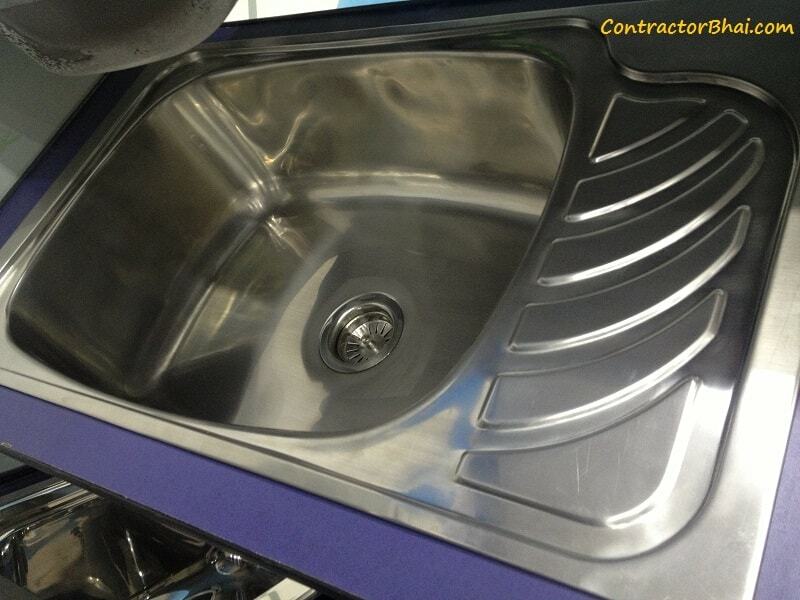 Most Sinks are available in Glossy, Satin & Antiscratch finish. Antiscratch are costliest among all. Unless design requires, Satin finish is good choice. Size of Sink is highly dependent on size of your Kitchen platform. Common practice is that sink shouldnt occupy more then 1/3rd of your primary Kitchen platform. Quartz range of Sinks are not made up of steel, instead it is made up of composite of granite & other compound materials. Prices fall in higher range. If space allows, Drain boards are nice to have. It could be used to keep small basket of washed vessels. Or you could keep washed vegetables etc. 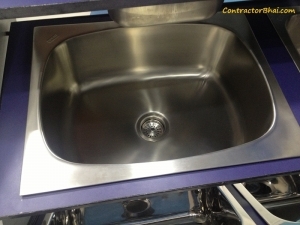 Designer types sinks are costlier then almost same size of normal sink. 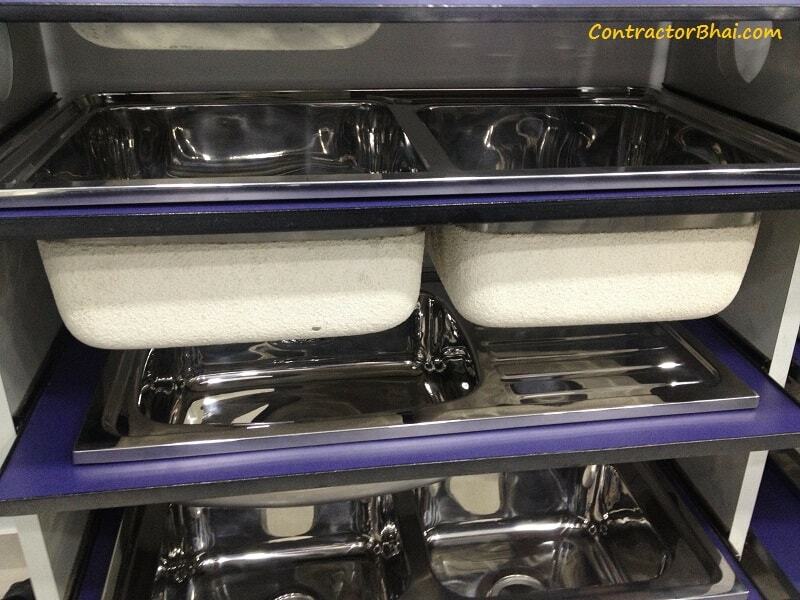 What Contractors think about the Nirali Kitchen Sinks ? Almost all Ceramic Tile shopkeeper sells Nirali Sinks. There more then 100 different size & models combinations. hence no dealers keeps them all. You have to choose from catalog & place the order. When you buy Sinks, Couplings are included in the Price. Many shopkeepers give you discount upto 15% on MRP. Most common style of fixing Sink is to sandwich plain edges between slabs of granite. ‘Inset’ & ‘Set-on’ are other options. Silent series of Nirali sinks have additional white coloured coating on back. This coasting will reduce sound made by stainless steel body. Coating if gets scratched by some object will come out & cannot be put back. 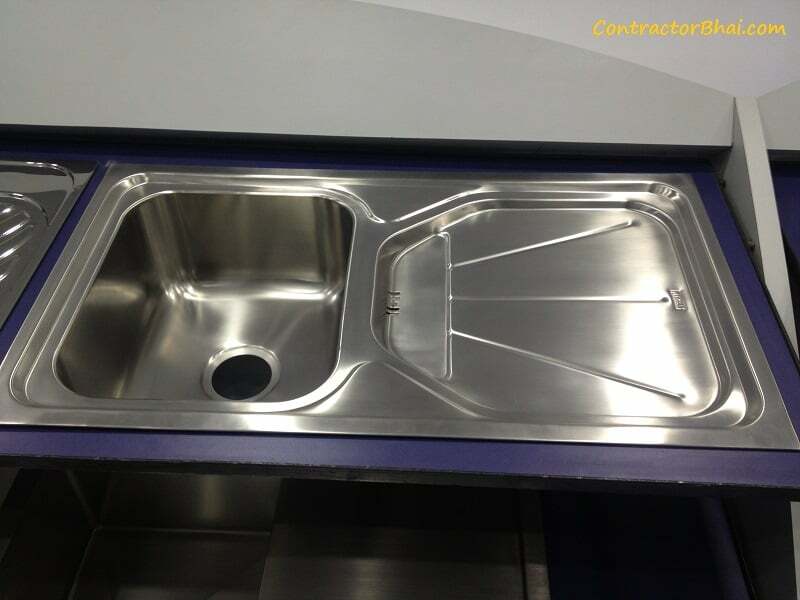 What Building material Shop Owners says about Nirali Kitchen Sinks? Nirali sinks use Stainless steel of 304 grade. All sizes mentioned in catalog might have minor mm difference sometimes. Replacing Kitchen sink is more complex then replacing plumbing. SInks get fitted inside your platform. Hence very important that you buy good one. We are listing here 5 different Nirali Kitchen Sinks which we highly recommend to Home Owners.